Executive coaching can be transformative both for the coachee and the organisation in which they work – or so the theory goes. But is this all clever marketing on the part of coaching providers – or is there research to support this claim? After all, organisations surely need more than anecdotal evidence before they invest in coaching as a core component of their staff development strategy. In this session, Erik de Haan will speak about a new randomised controlled trial (RCT) within a global healthcare corporation, which seeks to provide hard evidence on the effectiveness of executive coaching. Involving 180 coachees, 66 coaches and 140 line managers, this is potentially the largest RCT in executive coaching to date. In addition, Erik will bring you up to date with the results of a longitudinal RCT in a university, involving 110 coachees and an equal amount of control-group participants. The study considered the participants’ outcomes, relationships and well-being and provided very encouraging results as to the effectiveness of executive coaching. The fee for the webinar is £25 + VAT (10% discount for Henley alumni; free for Coaching Centre members). 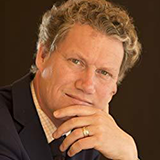 Erik de Haan is Professor of Organisational Development at Vrije Universiteit Amsterdam and Director of the Ashridge Centre for Coaching, where he leads the MSc in Executive Coaching and the Postgraduate Diploma in Organisational Supervision. He has published nearly 200 professional articles and 12 books, including The Consulting Process as Drama (1997) about the Shakespearean tragedy King Lear and its lessons for managers and consultants. Erik has also edited a number of books and is an editorial board member for several journals. Erik is an Ashridge-accredited coach and supervisor, and a Tavistock-trained psychodynamic psychotherapist, registered with the British Psychoanalytic Council.